Timber is timeless. 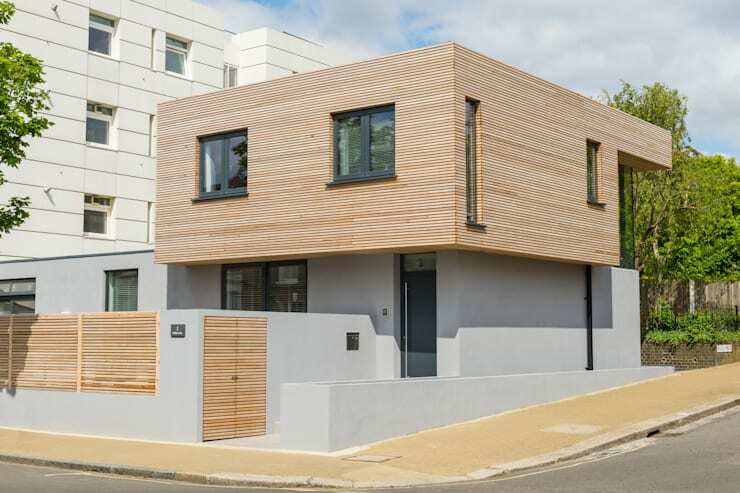 As a truly alluring and magical building material, wood ages exceptionally well compared to other equivalent options. Timber-clad dwellings offer the rustic refinement of a well-designed luxury abode, but often at a fraction of the cost. 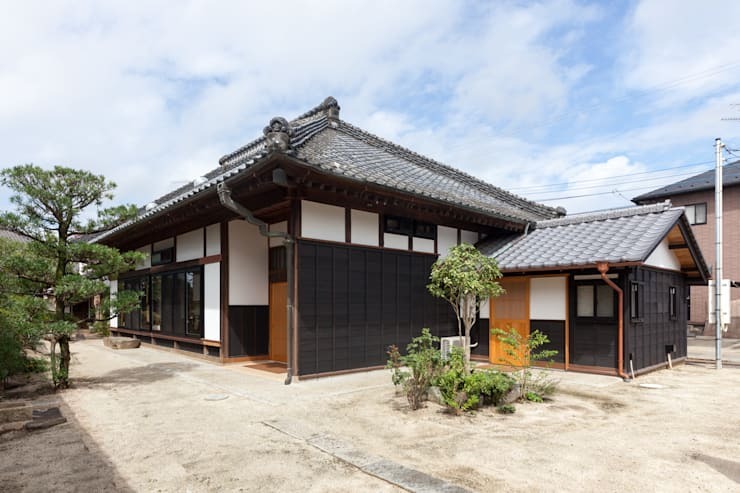 As one is able to witness subtle changes to the wood over many years, it is possible to feel the house age with its occupants, bearing scars and marks that define it and set it apart from the rest. Weathered and wonderful, our first home is a real stunner. 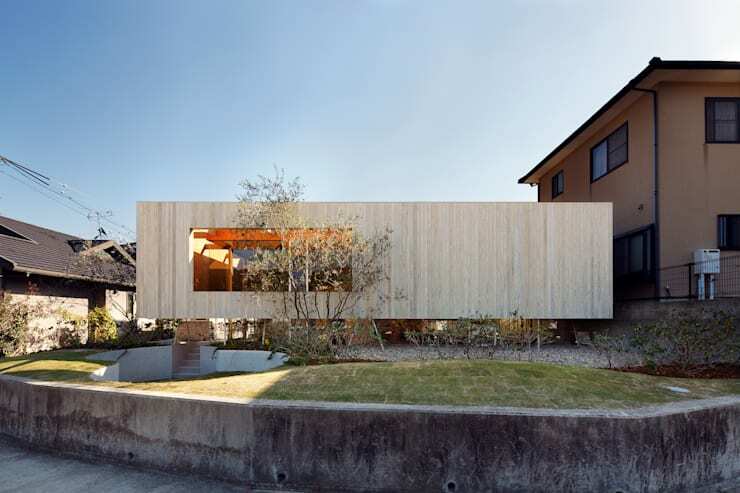 Designed by UID, this dwelling is a true standout against the neighbouring dwellings, and shows how timber can age well to reflect the landscape and changing scenery. 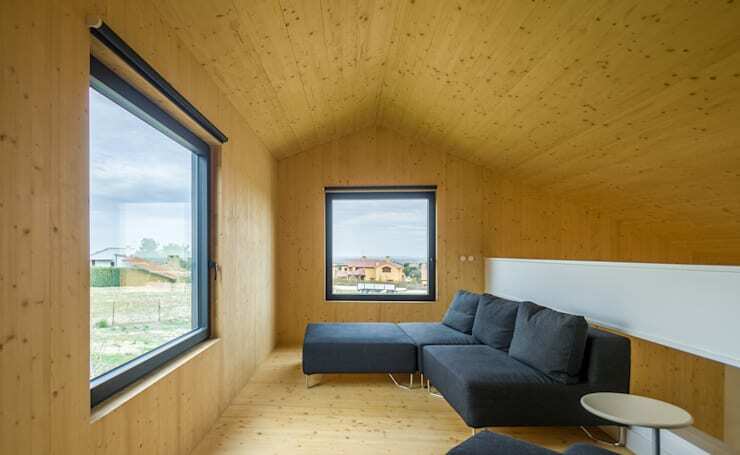 Next up we have a timber-clad apartment interior from Home and Wood, which boasts a light birch wood. This room is effortlessly chic and strikingly romantic. 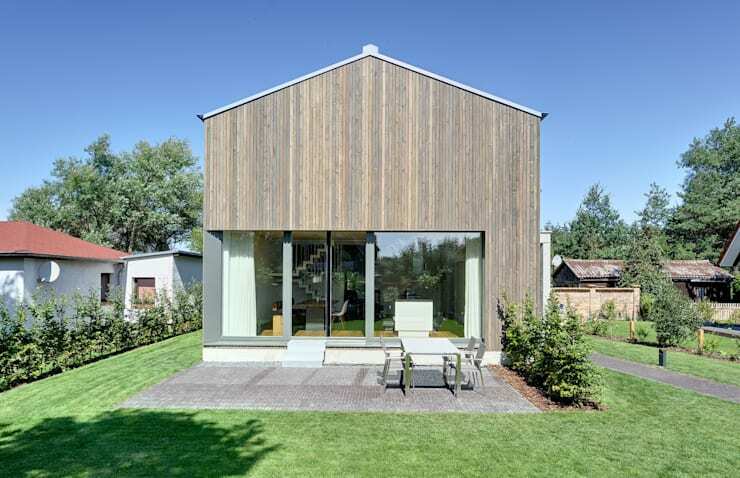 Modern, alluring and well-designed, this home shows us that wood is perfect for inside the home as well as out. As if floating upon water, our next home from Studio MK27 is named the M&M house, and is located in Sao Paulo. Designed to fit in with the landscape, it comes replete with energy efficient technology and eco-friendly accessories. Heading to Japan, we take a look at a traditional abode, which utilises dark timber panelling to create a historic ambience. Designed by Yoshida Architects, this bold dwelling pairs charcoal hues with bright white panels in a yin and yang configuration. Inside this timber-clad living room we see how the warm tone of the wood has been efficiently utilised to create an inviting ambience. Conceived and carried out by Mapout in Madrid, this home embraces a traditional pitched roof shape, along with plenty of windows to enhance the natural light within. A true favourite, this pitched roof home is incredibly eye-catching, and employs mirrored panels to reflect the surrounding landscape. 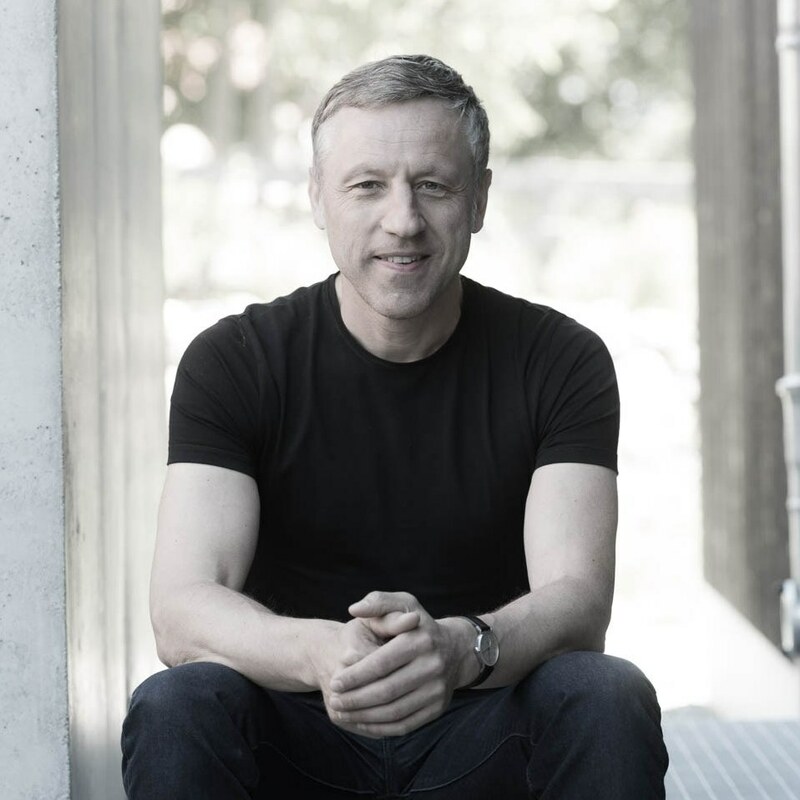 Designed by Amsterdam-based Shou Sugi Ban, this residence is truly unforgettable! The architects of this inner city home have worked with timber to add a second level to the dwelling, which is both attention-grabbing and impressive. Shirking the typical cladding for a metropolitan abode, Etc Urban created something far more interesting and unique. 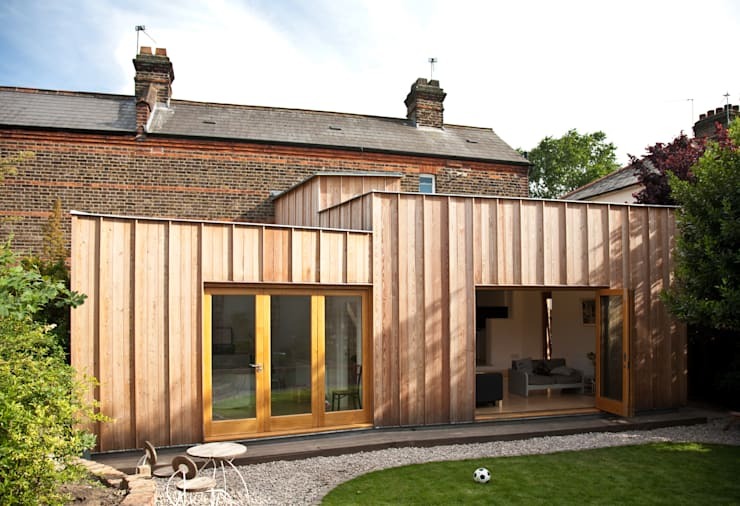 Timber is one of the most versatile materials on the market, and this extension shows us why. Designed by Neil Dusheiko Architects, this home is one-of-a-kind. Embracing different textures and tones, the home manages to appear as though it is a steel-clad surface, when in fact it is wood. This light pink hue will age well, and transform over time into a subtle silvered shade. 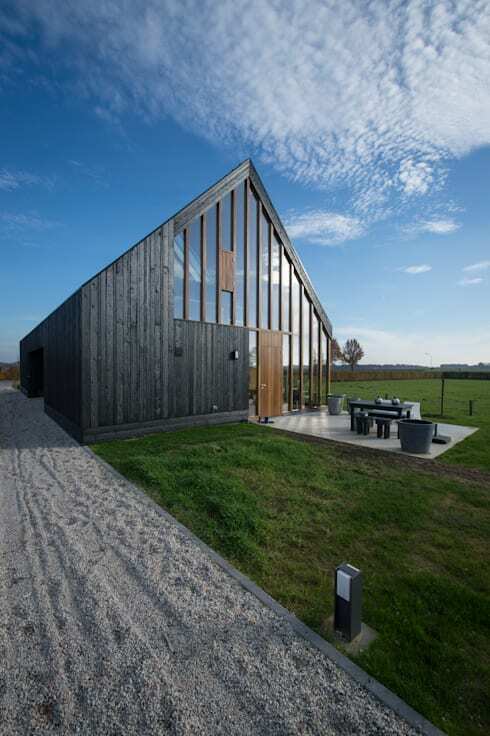 By Moehring Architekten comes this wonderful contemporary seaside getaway. Using thin panels of wood, the home is symbolic of traditional design, but stands apart from mediocrity thanks to its inventive use of glazing and timber. Finally, but no less impressively, we arrive at our 10th timber home. 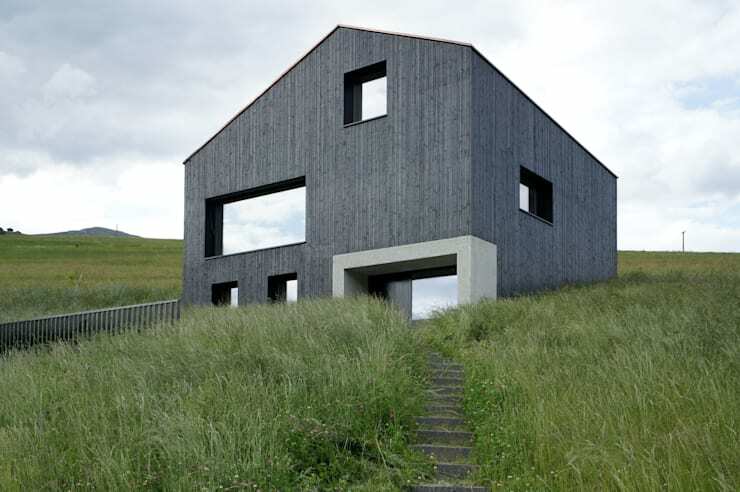 This dwelling, planned and designed by Hurst Song Architekten, is a dramatic punctuation of the Swiss landscape, and offers an original take on many of the traditional Swiss farmhouses in the surrounding area. What is your favourite building material? Let us know!